Grant G. Morain - Morain & Buckelew, LLC. Grant Morain is dedicated to representing individuals and families who have suffered the tragic consequences of serious personal injuries caused by the negligence of others. 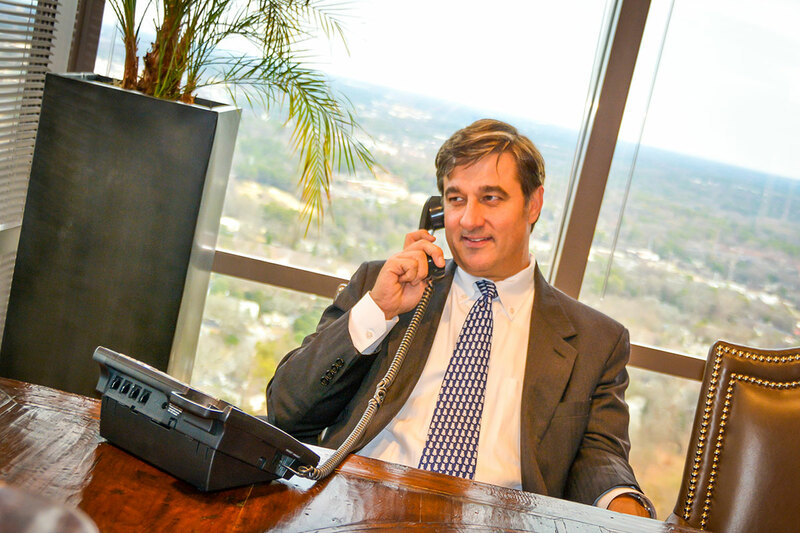 He has been practicing law since 1991 and has distinguished himself amount personal injuries lawyers. He has been a frequent lecturer on personal injury and trial issues at educational seminars for other lawyers. Grant is happily married to Kristine Morain, who is herself a practicing lawyer, and is the father of two children. In addition to the practice of law, Grant is passionate about baseball, and is an owner of the Columbia Fireflies, the Single-A affiliate of the New York Mets. Recognized, Bar Register of Preeminent Lawyers, every year from 2002 to the present. Emory University School of Law, Juris Doctor, 1991. Order of Barristers. Best Oralist, National Moot Court Competition. Member: Intrastate Moot Court Team; Emory University School of Law Moot Court Society. Davidson College, Bachelor of English, 1988. Winning Settlement Demand Packages; Program Chair. Institute of Continuing Legal Education. January 12, 2007. Proving Damages, “Settlement Stages: The First Place to Show Your Damages.” Institute of Continuing Legal Education. March 10, 2006. Special Tribute to America’s Best Lawyers Radio Program, Radio Interview produced by Sky Radio Network and broadcast exclusively on the Forbes Radio Channel on all American Airlines 29,000 monthly flights to its 4.2 million monthly passengers; to be aired on flights in February 2006. Advanced Workers’ Compensation, “Playing Well With Others: A Personal Injury Lawyer’s Perspective on Resolving Subrogation Issues.” Atlanta Bar Association, April 22, 2005. Solo Practice Workshop: Advice from the Experts; Emory University School of Law. February 28, 2005. GTLA Paralegal Workshop 2005; “The Power of PowerPoint.” Georgia Trial Lawyers Association. January 20, 2005. Winning Settlement Demand Packages; Program Chair and Speaker, “Professional and Persuasive Presentation: Using Demonstrative Evidence and Technology.” Institute of Continuing Legal Education. January 5, 2005. Mealey’s Advanced Skills for Litigation Paralegals; Program Chair, Lexis/Nexis Mealey Publications & Conferences Group, October 21, 2004. PowerPoint for Trial; Program Co-Chair, Institute of Continuing Legal Education. April 30, 2004. Winning Settlement Demand Packages; Program Chair, Institute of Continuing Legal Education. January 23, 2004. PowerPoint In The Courtroom; “Basic Use of PowerPoint In Advocacy.” Georgia Trial Lawyers Association. May 1, 2003.
how To Try And Win A Personal Injury Case; “Technology in the Courtroom.” Institute of Continuing Legal Education, March 7, 2003. Winning Settlement Demand Packages; Program Chair, Institute of Continuing Legal Education. January 10, 2003 (recorded at studios of Georgia Public Broadcasting for video distribution). 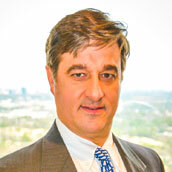 Subrogation and Reimbursement Issues; Program Co-Chair, Georgia Trial Lawyers Association. December 13, 2002. For Your Eyes Only VII; “Advocacy Techniques for Hearings and Mediations.” Georgia Trial Lawyers’ Assoc., WCCL, December 10, 2002. PowerPoint in the Courtroom; “Basic Use of Power Point in Advocacy.” Georgia Trial Lawyers’ Association. May 2, 2002. Solo Practice: Advice from the Experts; Emory University School of Law. April 8, 2002. How To Try and Win A Soft Tissue Case; “Direct Examination of the Plaintiff” and “Technology in the Courtroom.” Institute of Continuing Legal Education, March 8, 2002. Advanced Workers’ Compensation; Program Chair, Atlanta Bar Association, February 22, 2002. Start To Finish: Plaintiff’s Trial Marathon; “Direct and Cross Examination from the Perspective of the Plaintiff’s Lawyer.” Georgia Trial Lawyers Association, August 24, 2001 . How To Try and Win a Soft Tissue Case; “Direct Examination of the Plaintiff” and “Technology in the Courtroom.” Institute of Continuing Legal Education, March 9, 2001. Advanced Workers’ Compensation, “Ethical Considerations in Workers’ Compensation Litigation,” February 16, 2001. Commencement Speaker, Canfield High School (alma mater), Canfield, Ohio, June, 2000. Soup To Nuts; Basic Elements Of Disability And Injury Claims; Institute of Continuing Legal Education, May 12, 2000. Holy Innocents’ Episcopal School; Member, Parents Association, Third Grade Representative 2012-2013, Ninth Grade Representative 2013-2014, Middle School Division Representative 2014-2015, Secretary 2015-2016, Upper School Division Representative, 2017-2018. Holy Innocents’ Baseball Team Parent, 2014, 2016. Murphey Candler Little League Board of Directors; Immediate Past President 2011-2012, President 2010-2011, Executive Vice President 2009-2010. Murphey Candler Little League Baseball; Coach/Manager, 2007, 2008, 2009, 2010, 2011, 2012. North Atlanta Church Basketball League; Head Coach, 10 year-old girls team, 2013-2014. YMCA Tee Ball Coach, 2005, 2006. YMCA Soccer Coach, 2004, 2005, 2006. President, Brookhaven Gardens Neighborhood Association, 1998, 1999, 2000. Member, Peachtree Presbyterian Church. Teacher, Two-Year Old Sunday School Class, 2002. Member, Capital City Country Club, 2007 to the present.